Service is my primary concern. During the project, I meet with you in your home, at your convenience — including evenings and weekends. It’s easier for you, and it allows me to learn more about how you live and what’s important to you. To discover what makes a home right for you, I invite you to join me in the design process. I listen to you and communicate clearly. I make sure you understand the implications of the decisions you make. Accountability to you for quality, time, and cost is something I insist upon. You will know what to expect, when to expect it, and how much it will cost. Artistry takes many forms. A home created by CASA is a work of art, but not in the sense that I impose my style on you. 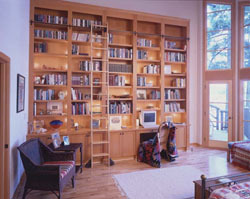 Rather, I work with you to refine the statement you want to make through your home. Artistry to me means creating an environment that responds to and expresses who you are, what you find beautiful about the site, how you want to live. When we’re done, all the elements of your home fit into a harmonious design, inside and out. When you live in it, you feel it’s right. Teamwork among the various specialists involved in your project is critical to its success. Depending on your project, I may involve associates for interior and landscape design. For specific issues, I also consult furniture designers, sound system engineers, lighting specialists, and other experts. For the best results in the final, constructed project, I recommend using the Team Build process to involve the builder early in the design. Team Build is an alternative to the traditional design and bid process that can give you more control over your project, save you time and money, and improve quality. 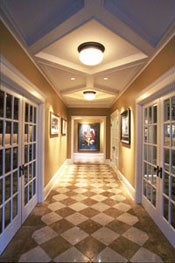 The traditional process typically excludes the builder from participation in the design. CASA works with a select group of builders and involves you in selecting the right builder for your project. How is Team Build different from the traditional design and bid process? Definition Design and construction are integrated. Design and construction are sequential and separate. Roles Architect, builder, and owner work together as a team to solve design, construction, and cost issues. Architect leads as owners agent. Builder is excluded from design process and selected by bid after design is complete. Relationship between owner, architect, and builder often becomes adversarial. Owner participation Owner is involved as appropriate throughout the process to make informed design and cost vs. quality decisions. Owner is involved only at prescribed milestones. Timing Constructibility review and cost estimating happen during design. Integrated decision making can shorten schedule. Constructibility review and cost estimating (bid) happen after design is finished. Redesign is usually needed and lengthens schedule. Cost and quality control Owner participates in realistic cost vs. quality decisions during design. Cost and quality are defined in the design. Owner makes decisions with incomplete information. Cost vs. quality tradeoffs are often not known until after bid. Make better decisions. You’re given meaningful alternatives because the team addresses the cost, quality and schedule issues during design, not once design is over. Maximize value. The team’s ability to make informed decisions means you receive the highest possible quality for every dollar you spend. Save time and avoid aggravation. We create win-win solutions, so you don’t get embroiled in time consuming and annoying surprises, delays, backtracking, and disputes. Adapt the process to your specific requirements. You deal directly with an architect and builder responsive to your needs, not a rigid prescription on how to design and build a project. If you want to enjoy these benefits, then working with CASA using Team Build is right for you.